Google rolling out search feature Google Lens in Assistant for the first batch of Pixel and Pixel 2 smartphones. 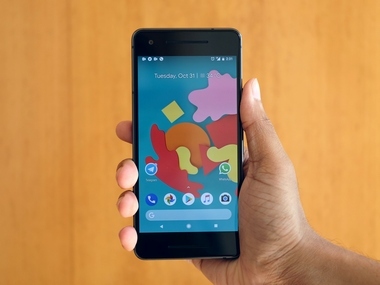 "The first users have spotted the visual search feature up and running on their Pixel and Pixel 2 phones," 9to5Google reported late on Friday. Built into the Photos app, Google Lens can recognize things like addresses and books, among others. Back at the October 4th event, Google announced that Lens was launching as a preview to Pixel devices later this year. It first debuted in Google Photos on the Pixel 2 before expanding to the original Pixel and Pixel XL late last month. In Photos, Lens can be triggered when viewing any image or screenshot. However, in Assistant, it is integrated right into the sheet that pops up after holding down on the home button. The interface that is now rolling out does not look all too different from the version we were able to activate in September. Pressing this new button in the bottom right corner opens up a camera viewfinder. Tapping anywhere freezes the view and begins a search with possible results and actions appearing as a carousel of chips or cards that identify the item, with the usual links to do a web search, open other apps, and more.